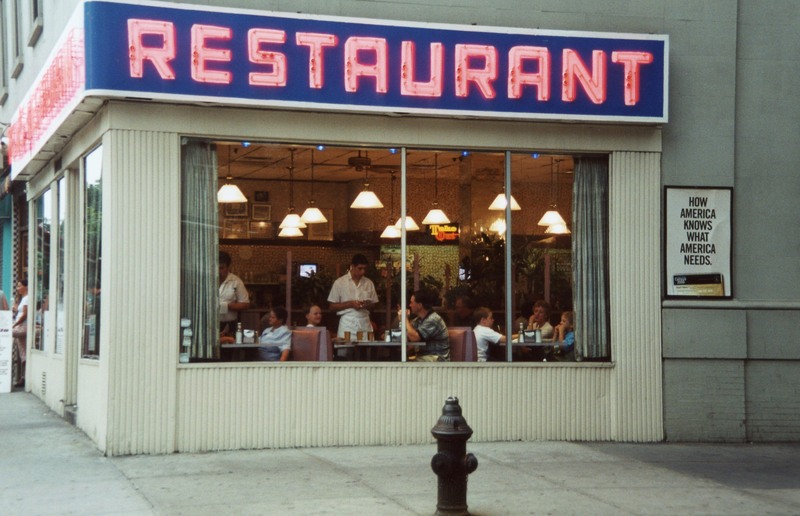 From Big salads, to endless amounts of bad coffee, to finger-licking ribs, our favorite fictional food establishments are not only memorable, but a crucial part of our TV shows. Food on these TV shows help establish the characters identity while creating the ultimate fictional eatery setting. Here are some of the best fictional eateries on TV that I wish were real. You can not visit Stars Hollow and not have a famous cup of Joe from Luke’s diner. In a majority of episodes you can find both Lorelai and Rory debating, talking, and arguing over burgers, fries, pie, and of course coffee. Even the ultimate manipulator doesn’t mind getting sticky with Freddy’s famous ribs. Monks was the beginning of restaurant TV dining. This real-life diner is the classic location for the “show about nothing”. Monks is one of the most famous and recognizable Seinfeld spots. Although usually empty, the Bar provides a great backdrop for the roommates to venture outside of the loft. Scheming, pranks, and dates all happen on these bar stools. Murder, psycho killers and coffee go together right? You might as well throw in a danish as well.